Our windows comply with the NZ building code. We hereby certify that all products supplied by Alitech Window Systems meet or exceed the requirements of the New Zealand Building Code and New Zealand Standards; NZS4211, Performance of Windows, and NZS4223, Glazing in Buildings - Parts 1-4 incl. NZBC CLAUSE B2 – DURABILITY. Alitech Window Systems products can be expected to deliver a trouble free serviceable life. Clause B2 requires that building elements such as windows and doors, including gaskets, glazing and glazing beads, must have, with normal maintenance only, a durability of not less than 15 years, and that components such as window fasteners, door rollers, weather piles and the like, with normal use, have a durability of not less than 5 years. NZBC CLAUSE E2 – EXTERNAL MOISTURE. 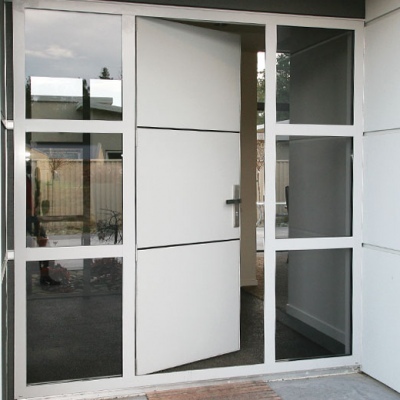 Window and door units provided by Alitech Window Systems will comply with the appropriate clauses of E2/AS1 and generally satisfy the requirements of Clause E2. Installation in accordance with either E2/AS1, or specifically prepared shop drawings, is a requirement of the Product Warranty. In accordance with the TERMS AND CONDITIONS OF SALE a warranty for all Alitech Window Systems products is provided, under normal conditions of use, against failure of materials and/or workmanship for a period of 5 years from the date of practical completion. The surface finishing of the aluminium extrusion is covered by a separate Performance Warranty which is dependent on the actual finish selected. A window and door hardware warranty protects against defects in manufacturing, functionality and surface finish for a period of 5 years, provided care and maintenance guidelines have been followed. Plated (soft) finishes are excluded from the warranty.